Friday, May 12, Gov. Mark Dayton vetoed a historically bad omnibus environment bill. It sought to give polluters the right to write their own environmental impact statements, slashed funding for environmental agencies and even prevented cities from banning plastic bags. You can read all about it in the press statement below, but, in short, it threatened to undermine Minnesota’s long tradition of protecting the water we drink and the air we breathe. Now we need the governor to continue to stand strong, and we call upon our legislators to remove bad policy provisions and restore cuts to our environmental agencies from bills in the works. 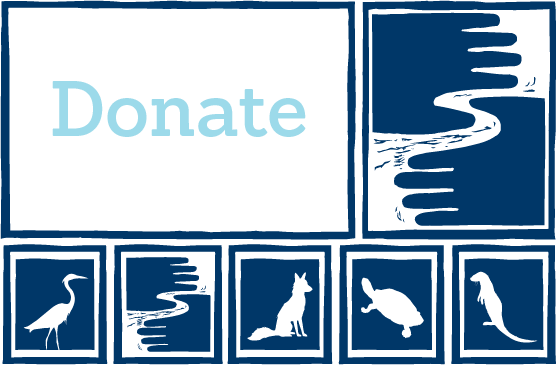 You can help by becoming a River Guardian! We make it fast easy to contact your legislator and only email when your voice is needed the most. Also, if you're available Monday, May 15, 4:30-6:30 p.m., please join us outside the Governor's Residence as we thank him for his veto and encourage him to stay strong (RSVP). FMR thanks Gov. Mark Dayton for vetoing the omnibus environment and natural resources finance and policy bill. Its unprecedented budget and policy rollbacks would have harmed Minnesota’s great outdoors, contrary to the wishes of Minnesotans across the state. St. Paul, MN: Friends of the Mississippi River applauds Gov. Mark Dayton for standing up for Minnesota’s waters and vetoing the omnibus environment and natural resources finance and policy bill. The vetoed environmental budget bill sought to cut $30 million in general fund support for environmental agencies, including the total elimination of general fund support for the Minnesota Pollution Control Agency. These cuts would come on top of expected federal cuts and despite a large state budget surplus. Despite Gov. Mark Dayton’s request to keep policy provisions out of budget bills, the environment bill included 34 pages of finance provisions and 108 pages of policy. - Removing roughly 70% of public waters from 50-foot buffer maps, greatly reducing buffer protections on 24,000 miles of public waters. - Barring local enforcement by needlessly stripping counties and watershed districts’ administrative penalty order authority. - Delaying buffer deadlines by two years. - Eliminating the buffer requirement unless 100% paid for by taxpayers. Provisions in the bill would have allowed corporations to write their own Environmental Impact Statements. This effectively puts the fox in charge of the hen house, and makes the hen house private since data used to prepare a private EIS would not be subject to the Data Practices Act – keeping Minnesotans in the dark about the information used to prepare it. The bill sought to repeal key duties and powers of the EQB, barring it from cooperating with regional development commissions or establishing internal or citizen task forces to study pressing environmental issues of community interest across the state. This comes on the heels of the Legislature’s highly controversial 2015 move to repeal the Minnesota Pollution Control Agency Citizen’s Board. This provision would have exempted cities that build public water treatment facilities from upgrading their systems to comply with new clean water standards for 16 years. - This provision would have eliminated deference to the Minnesota Pollution Control Agency’s science when a water quality decision is challenged. - The proposed action (water quality standard, clean-up plan, etc.) would be void until the re-review was completed. - Cities challenging the science behind the water quality action would be exempt from paying for it - meaning agency budgets would absorb potentially unlimited re-review costs. Agency guidance, policy, and other interpretations provided are intended to answer common questions, typically from regulated parties, about how the environmental rules and state law would be applied. This provision would have established a presumption that all MPCA and Minnesota Department of Natural Resource guidance documents, policy or interpretation are invalid and un-promulgated “rules” and must undergo rulemaking at public expense. This would make providing basic guidance on environmental regulation much more complex, time-consuming and expensive – the opposite of streamlining. Since 1969 “contested case hearings” have been the right of all citizens, guaranteeing public participation in important decisions that affect the whole state. This bill would have eliminated citizens’ right to contest mining projects, affording it only to adjacent property owners and affected governments. This provision would restrict the DNR from using its existing authority to reduce non-target mortality of birds (including bald eagles) and wildlife exposed to lead shot. Steel shot is readily available, performs similarly as lead, costs the same or less, and is non-toxic to birds and wildlife that ingest it. Modern ballistics have developed many superior ammunition loads and restricting the use of toxic lead shot makes environmental sense and does not impact Second Amendment rights. HF888 also sought to pre-emptively prohibit local governments from banning or placing fees on plastic bags. This pre-empts local authority, overrides the will of local voters and bars implementation of a proven method of reducing pollution and protecting habitat. This provision would have required the DNR to issue a groundwater use permit to irrigators impacting calcareous fens (rare and sensitive groundwater-fed wetland ecosystems) in Pipestone County. - The forced permit would be good for 15 years, significantly longer than those available to other water users can get. It would be irrevocable in the first five years, and in the next 10 it could only be revoked under unfairly limited circumstances. - If the DNR did find a reason to revoke this permit, state funds would then pay for the private irrigation equipment already installed. - After the initial 15-year term, the permit would become irrevocable. FMR thanks Gov. Mark Dayton for vetoing this unprecedented slate of environmental cuts and rollbacks. We now call on Dayton and legislators to remove bad policy provisions and restore cuts to Minnesota’s environmental agencies. Friends of the Mississippi River engages citizens to protect, restore and enhance the Mississippi River and its watershed in the Twin Cities region. Learn more at www.FMR.org. For more information about FMR’s legislative efforts, see http://www.FMR.org/legislative-updates. To learn more about water quality of the Mississippi River, see the “State of the River Report” by Friends of the Mississippi River and the National Park Service - Mississippi National River & Recreation Area Unit: http://stateoftheriver.com/state-of-the-river-report.